Rachel, Skylar, Caitlin, Beth and Bethany are all eighteen, immortal and can fly. I think that the way up and coming writers are treated is the most unethical practice in the publishing industry. I won’t go into the countless examples of what I am talking about but think the large publishing houses might be in for a rude awakening with the way the publishing industry is changing. It took me a very long time and countless efforts to break into the publishing world. I started off at the age of seven charging twenty-five cents to write love letters from my male classmates in school to our female classmates. I have written countless stories and books that were never published but never let that discourage me. 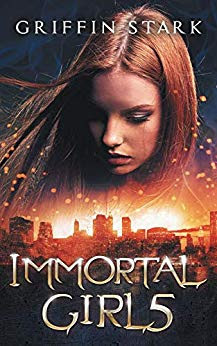 Finally, after I completed the first draft of “Immortal Girl5” it was noticed by a few key figures in the literary world and that is where this incredible journey started. Writing both energizes and exhausts me. When I have what I call a “creative burst” I can go on a writing marathon for a couple of days. Of course, when that tapers off, I need to rest usually for fourteen to seventeen hours. I am always thinking about ideas to write about and that constantly energizes me, but sometimes I just need to turn my brain off for a while from the exhaustion this type of creativity causes. It’s kind of a blessing and a curse all rolled up into one. I think that one of the most common traps that aspiring writers face is not emulating what has been done before. Most people think that you can’t reinvent the wheel – those people are not true creatives. When I wrote “Immortal Girl5” I believe that I reinvented the wheel in my vision. If an aspiring writer wants to separate him or herself from the rest of the pack, he or she needs to reinvent the wheel in a way that not only gets them noticed, but also keeps them true to themselves – which is a whole other conversation! I would say that I have five unpublished and half-finished books. I write five hours a day, which usually translates into ten pages, every day, seven days a week. I used to read my book reviews until a couple of members of my team encouraged me not to. Out of the ones I read most were good and some not so good. The way I deal with good ones is the same way I deal with bad ones. I consider the source and have come to realize that not everyone, no matter who you are, is going to respond to your work. And besides, people who didn’t like your work are a lot more prone to talk about than people who like it. There is one scene that comes to mind in “Immortal Girl5” that was the hardest one for me to write of them all. It was at the end of Caitlin’s backstory when she and Joan were tied to the burning stakes and Joan looks up and smiles just before Caitlin is gone with a huge gust of wind. I can’t really explain it but even when I read that scene to this day I tear up. Other scenes that are difficult for me to write are when I kill off characters. It is almost like having the character on their knees in front of me as I am pointing an imaginary gun at their head and pulling the trigger. For me this is very difficult to do most of the time because I get to know my characters very well throughout my writing process. I would do absolutely nothing. I have been writing since the age of seven consistently in one genre or another and have come a very long way as a result. On average, it takes me a little more than two years to write a book. When writing Y/A Fantasy Fiction the author’s responsibility is to create an entire world for his or her readers. Who are the characters? What do they say to each other? Where does the action take place? are a few small hurdles to start with. The biggest challenge that I find in my writing is getting into my character’s heads. I use many methods to do so and find myself growing as a writer by successfully being able to transfer what I learn onto the written page. Did you come across any specific challenges in writing “Immortal Girl5”? Getting into the heads of five eighteen-year-old girls was the biggest challenge I faced while writing “Immortal Girl5” – especially being that I am a male. Another large challenge was combining the girl’s backstories (the first half of the book) with the action in modern day New York and the modern-day villains that come with it seamlessly. The first story that I ever read that had any type of impact on me was “The Outsiders” by S.E. Hinton. I read that book when I was ten-years-old and to this day it is still my favorite book of all time. The incredible story and relationships that she built into one-hundred and eighty-five pages is not only timeless but solidified my desire to become a professional author. GRIFFIN STARK is an American author who proudly lives in Nashville, Tennessee. Even as a young child, Griffin had an active imagination. 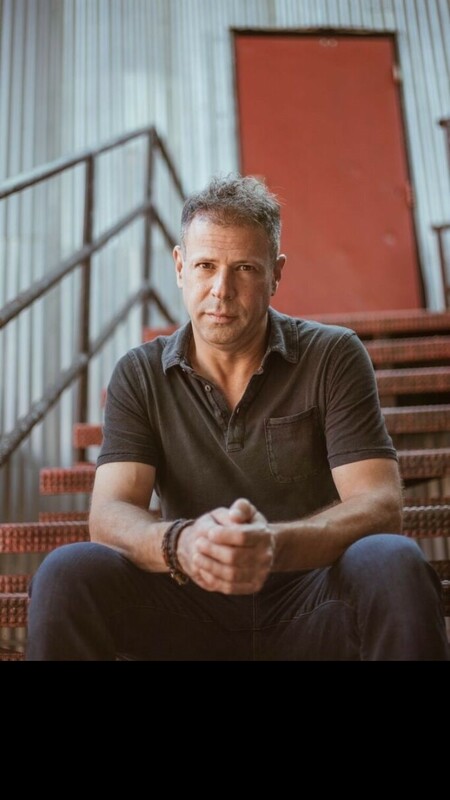 As an author of Young Adult Fiction, he has harnessed his creativity to tell a story that is memorable and filled with important life lessons. Griffin served as a combat medic in The United States Air Force and received several accommodations. He also founded THE SHEEPDOG MOVEMENT to join in the fight against bullying of teens worldwide.